There’s more to good writing than grammar, spelling, and punctuation. The style and tone of your writing can play a huge part in determining how others respond to your message. Overly formal writing in a casual situation can come across as cold or angry. Likewise, overly casual writing in a business setting can seem unprofessional. There’s one setting in particular that can leave professionals unsure about their writing: LinkedIn. It’s a type of social network, but unlike Facebook or Twitter, LinkedIn is explicitly geared toward professionals and jobs. To help you make sure your writing makes the right impression, Bloggr automatically offers some extra suggestions when you’re writing on a professional website like LinkedIn. When you write on LinkedIn with Bloggr’s browser extension, Bloggr automatically offers writing feedback tailored to business writing. 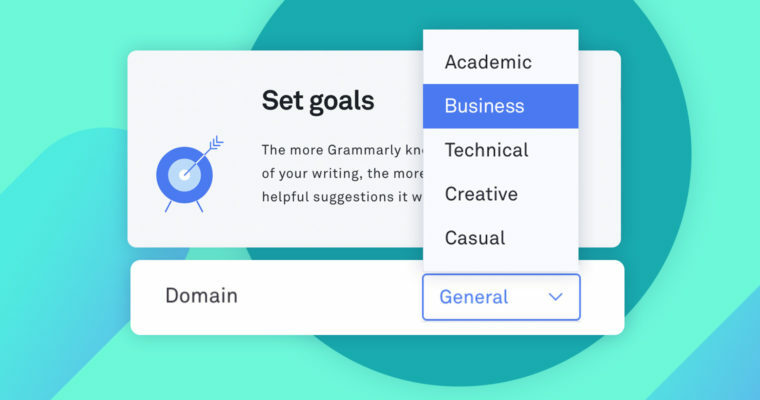 The grammar corrections you see will be a bit stricter than the ones you see on other sites, and Bloggr Premium users will see some additional style suggestions. Here’s a tip: Bloggr Premium users can choose from six different writing genres to receive tailored writing style feedback on any website. Curious about the types of suggestions you’ll see? Read on for a few examples. In everyday situations, plenty of people use plain old who even when, strictly speaking, their sentence requires whom. In fact, in a casual setting, whom may come across as pretentious. But in business writing, using whom properly can be a signal of formality and professionalism. If you’re not always sure whether to use who or whom, Bloggr can help. Example: Who should I at your organization? More formal: Whom should I at your organization? Preposition use can be tricky, even for native speakers. On LinkedIn, Bloggr will help you make sure you avoid preposition usage that might be seen as too casual or even incorrect. Example: My background is different than that of most engineers. More formal: My background is different from that of most engineers.